Federigo's Falcon is Boccaccio's clever use of the ironic twist, often paired with The Necklace or The Gift of the Magi. It was originally published in The Decameron in 1353. Translation by Mark Musa and Peter Bondanella. There was once in Florence a young man named Federigo, the son of Messer Filippo Alberighi, renowned above all other men in Tuscany for his prowess in arms and for his courtliness. As often happens to most gentlemen, he fell in love with a lady named Monna Giovanna, in her day considered to be one of the most beautiful and one of the most charming women that ever there was in Florence; and in order to win her love, he participated in jousts and tournaments, organized and gave feasts, and spent his money without restraint; but she, no less virtuous than beautiful, cared little for these things done on her behalf, nor did she care for him who did them. Now, as Federigo was spending far beyond his means and was taking nothing in, as easily happens he lost his wealth and became poor, with nothing but his little farm to his name (from whose revenues he lived very meagerly) and one falcon which was among the best in the world. More in love than ever, but knowing that he would never be able to live the way he wished to in the city, he went to live at Campi, where his farm was. There he passed his time hawking whenever he could, asked nothing of anyone, and endured his poverty patiently. Now, during the time that Federigo was reduced to dire need, it happened that the husband of Monna Giovanna fell ill, and realizing death was near, he made his last will. He was very rich, and he made his son, who was growing up, his heir, and, since he had loved Monna Giovanna very much, he made her his heir should his son die without a legitimate heir; and then he died. Though he was very poor, Federigo, until now, had never before realized to what extent he had wasted his wealth; but this morning, the fact that he found nothing with which he could honor the lady for the love of whom he had once entertained countless men in the past gave him cause to reflect. In great anguish, he cursed himself and his fortune and, like a man beside himself, he started running here and there, but could find neither money nor a pawnable object. The hour was late and his desire to honor the gracious lady was great, but not wishing to turn for help to others (not even to his own workman), he set his eyes upon his good falcon, perched in a small room; and since he had nowhere else to turn, he took the bird, and finding it plump, he decided that it would be a worthy food for such a lady. So, without further thought, he wrung its neck and quickly gave it to his servant girl to pluck, prepare, and place on a spit to be roasted with care; and when he had set the table with the whitest of tablecloths (a few of which he still had left), he returned, with a cheerful face, to the lady in his garden, saying that the meal he was able to prepare for her was ready. And after he had said this, he laid the feathers, the feet, and the beak of the bird before her as proof. When the lady heard and saw this, she first reproached him for having killed such a falcon to serve as a meal to a woman; but then to herself she commended the greatness of his spirit, which no poverty was able or would be able to diminish; then, having lost all hope of getting the falcon and, perhaps because of this, of improving the health of her son as well, she thanked Federigo both for the honor paid to her and for his good will, and she left in grief, and returned to her son. To his mother’s extreme sorrow, either because of his disappointment that he could not have the falcon, or because his illness must have necessarily led to it, the boy passed from this life only a few days later. Her brothers, seeing that she was determined and knowing Federigo to be of noble birth, no matter how poor he was, accepted her wishes and gave her in marriage to him with all her riches. When he found himself the husband of such a great lady, whom he had loved so much and who was so wealthy besides, he managed his financial affairs with more prudence than in the past and lived with her happily the rest of his days. 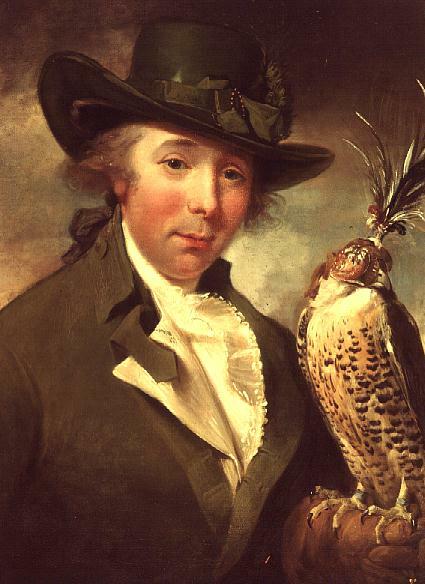 Frederigo's Falcon is a featured in our collection of Short Stories for Middle School. It is one of many short stories that feature an ironic or confounding event. O. Henry's The Gift of the Magi and Guy de Maupassant's The Necklace are great works to compare the authors' use of irony. Add Federigo's Falcon to your own personal library.